At the heart of most galaxies is a supermassive black hole. These powerhouses have a mass of millions or billions of Suns, and can create brilliant quasars when active. So what happens when two galaxies collide? According to the models, when galaxies collide and merge, their two black holes capture each other in an orbital dance. 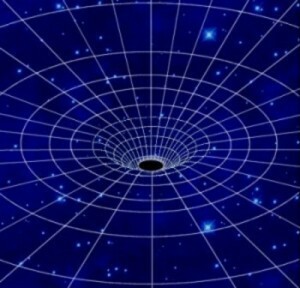 Over time the black holes would spiral ever closer, eventually merging into a single black hole. We have seen smaller black holes merge through the gravitational waves they produce, but supermassive black holes mergers are rare, so we haven’t seen their gravitational waves. But if our models are correct, many galaxies should contain a binary black hole. The challenge is seeing them. 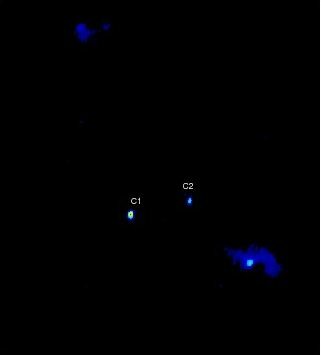 VLBA image of the central region of the galaxy 0402+379, showing the two cores, labeled C1 and C2, identified as a pair of supermassive black holes in orbit around each other. 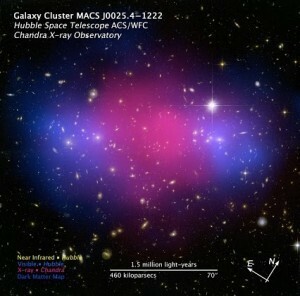 Credit: Bansal et al., NRAO/AUI/NSF. We have seen a few cases of binary supermassive black holes, but these are largely through indirect evidence. 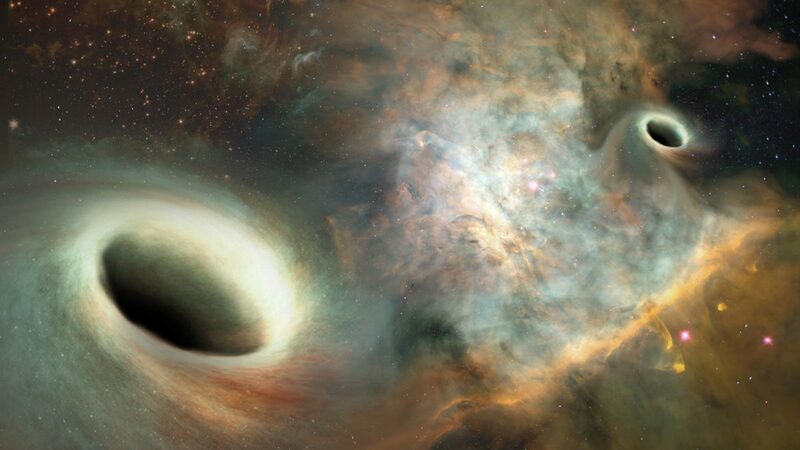 Seeing two black holes close together and proving they orbit each other takes careful observation over time. In 2009 a collection of radio telescopes across the world known as the Very Long Baseline Array (VLBA) observed two supermassive black holes that appeared to be close together. They appeared to be located in an elliptical galaxy known as 0402+379, making them an orbiting binary. But it was also possible that the two were a visual binary. That is, from Earth they could appear to be close together, but in reality one of the black holes could be much more distant. To prove they orbit each other, VLBA made another set of observations in 2015. The positions of the black holes had shifted, which confirmed they were orbiting each other. To determine their orbit, the team also used VLBA data gathered in 2003. From the positions of these black holes over the course of more than a decade, they found they orbit each other with a period of about 30,000 years. They are only about 24 light years apart, and their combined mass is about 15 billion Suns. Do we know how fast they’re moving towards each other? They are orbiting each other, so they are only slowly moving closer to each other. From what I’ve got from other articles they should merge in at least millions of years in the future…since the galaxy is 750 million light-years from Earth, they should be one by now – we are just waiting for the gravitational waves to reach us! Neil Dickson, this link should answer some of your questions. Cheers.